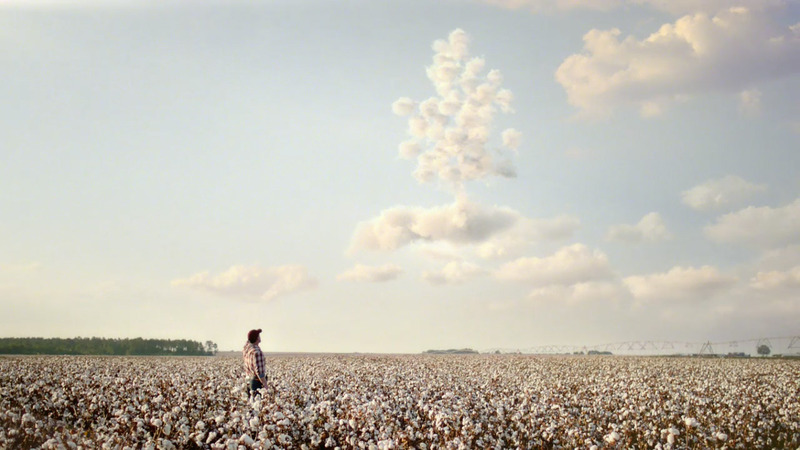 Cotton and clouds star in BBDO Atlanta's 'Sky's the Limit' for Bayer Stoneville, directed by Mill+ creative directors Tom Bussell and Andreas Berner. Shot on location in Atlanta, it was a delicate process to choose just the right cotton field to film in. Once a cotton field blooms, there is only a four day period before it is harvested. Drones were used to get the high-flying shots, as a helicopter would not have been able to fly low enough to the farm without disrupting the cotton.